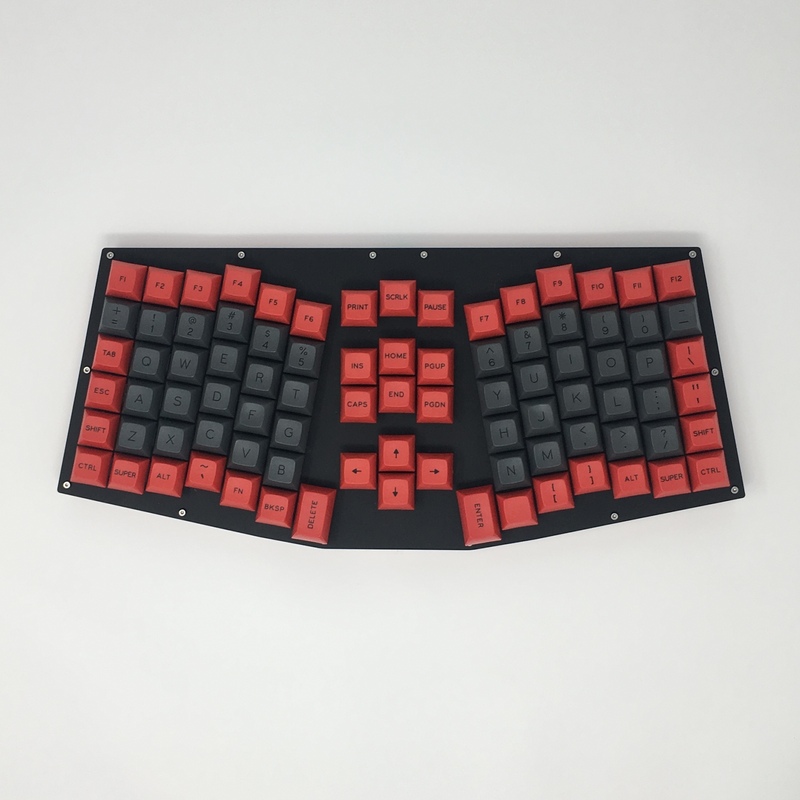 The Bloomer is an 87-key ergonomic keyboard, inspired by the Atreus and Atreus62. There are a few main goals behind the keyboard listed below. The first goal of the Bloomer is to provide an ergonomic option that is less intimidating to those who are considering an ergonomic layout. Many of the ergonomic or ortholinear options currently available are not easy to adapt to. 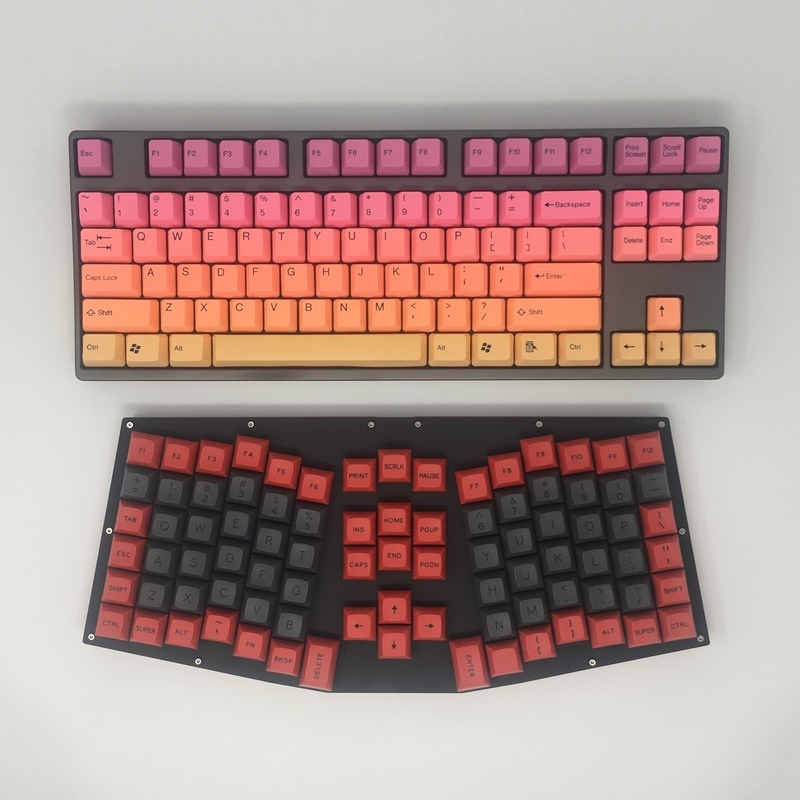 In cases such as the Kinesis Advantage, Dactyl, and Manuform, the keyboard layout and shape is so drastically different it can take a significant amount of time to get used to. Having moved directly from a TKL layout to a Kinesis Advantage, I can anecdotally say that the adaptation period took several weeks, which is enough to deter many individuals. In other cases, such as with the Atreus, Preonic, and Iris, the drastic reduction in keys is the more off-putting aspect. For those used to full-sized or TKL layouts, it can be hard to imagine using a keyboard without dedicated function keys, home, end, etc. The Bloomer was intentionally designed such that it retains the 87 key count that a TKL layout would have. It is also not split, as is the case with keyboards like the Iris. Unfortunately, having a single piece renders tenting impossible; however, it does make the keyboard less difficult to adapt to, as the user only needs to familiarize with the column-staggered keys. Lastly, it maintains a size very similar to a TKL keyboard as is shown in the picture below. 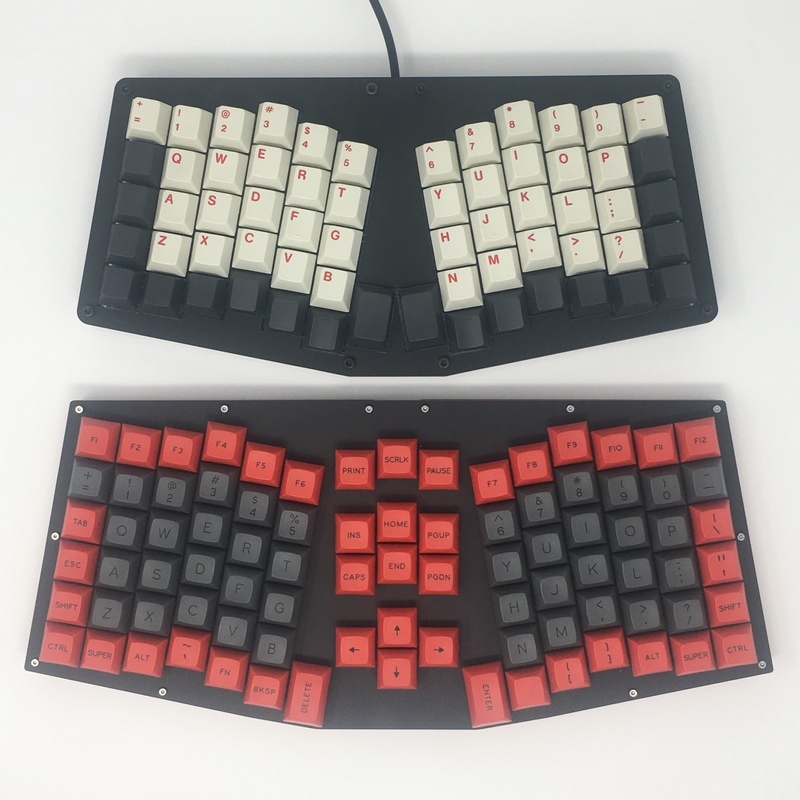 While the Bloomer is still a less ergonomic option than some of the more extreme layouts, it still introduces some improvements to the layouts that it was inspired by, namely the Atreus and Atreus62. By separating the left and right halves of the keyboard and placing the dedicated TKL keys in the middle, the user’s wrists remain in a straighter position. This reduces Ulnar Deviation and provides a benefit usually only seen in split keyboards. Having used an Atreus62 as my daily driver for over a year, the biggest complaint I had was the inner-most thumb keys, which I find to be uncomfortably placed. The Bloomer moves these keys to a spot that is much easier to press comfortably without moving the entire hand. I am one of the few mechanical keyboard enthusiasts who transitioned to a smaller layout and then decided to transition back. Even with the Bloomer layout, I still retain a lower layer in which my TKL keys are accessible via keys closer to the home row. That said, I found there to be several cases where using layers was a pain. The main reason I prefer having dedicated function keys is that they are often used in games. In StarCraft II and Heroes of the Storm, the function keys provide useful functionality and I don’t want to have to access them via a layer. These are shortcuts I use frequently during software development and many of which require pressing 4 keys simultaneously when the primary key is hidden under a layer. Even after a year, some of these complex shortcuts have been difficult to train myself to press via muscle memory. I was able to get by with both an Iris and an Atreus62 as a daily driver; however, it’s been nice to have dedicated keys again. I still use layers the majority of the time but the Bloomer provides a fallback option in cases where I prefer it. As with all of the CozyKeys projects, the Bloomer is and will remain completely open source. This means that the same design files I use to get the parts manufactured will be available on GitHub. Check out the Bloomer GitHub repository!